LLiTY: You're a woman, I'm a machine. You're a woman, I'm a machine. 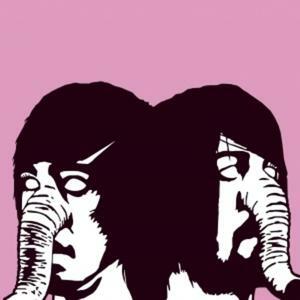 Here's an old favorite, Death From Above 1979. They released one full album, You're A Woman, I'm A Machine in 2005 and proceeded to have a massive bloody feud and split, never to reunite....or so we thought. But friends, DFA is back, and playing at Coachella (which I'm going to.) The day I heard this I pretty much wept tears of joy. Here's the aforementioned first album (there are half a billion remixes of these songs as well.) Let's hope another one comes along soon. EXACTLY!! nice song choice from this album .. kinda hard since it's a solid album with all good tracks.I really wish they were playin on sat or friday at Coachella.. although.. I might just miss seeing them.. but hope they stick it out for a couple other shows.. and possibly a second lp?? would you like tots with that shake? Bruce Haack- Electric Lucifer 1970 Medafire. Geneva Jacuzzi- Kooze Control Mediafire.